In order for you to perform the steps below you will need to have Yoast SEO set up. If you do not I would recommend downloading the Yoast SEO plugin to your website. 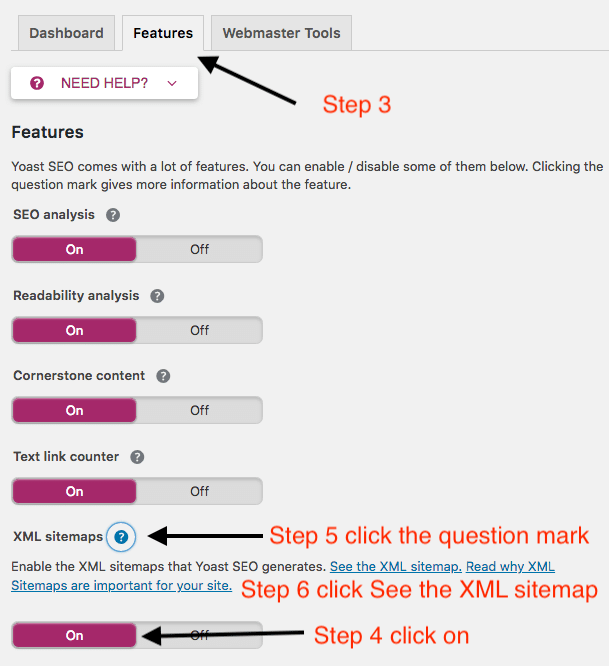 Here is an article on how to set up Yoast SEO. Head over to Bing Webmaster Tools and sign in. Copy the URL of your site and paste it into the “Add a Site” option then click “ADD”. Bing will then give you 3 options to verify your ownership of the website. We will be using ‘Option 2’. Please copy the code within the parenthesis. At the bottom left you will see a “VERIFY” button don’t click it yet, it is actually the last step of the process. Log into the Dashboard of your WordPress website. Find your Yoast SEO Plugin in the menu and click “General”. Paste your code into the ‘Bing verification code’. Click “Save Changes” in Yoast. 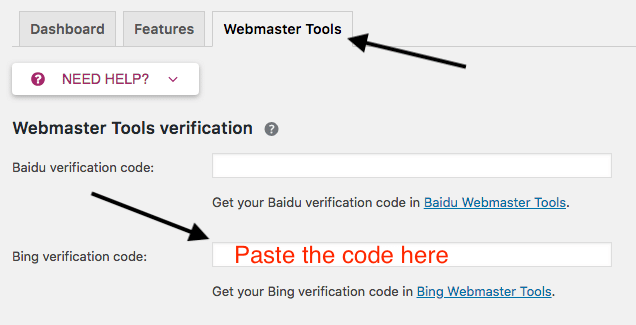 Now head back to Bing Webmaster Tools and click “Verify” and you are done. Alright, you have verified your website. Next, let’s go through how to submit a sitemap to Bing. Again we will be using Yoast SEO to do this. Log in to the dashboard of your website. Navigate to Yoast SEO and click “General”. Turn the XML sitemaps option to “On”. Click the link “See the XML sitemaps”. You will be taken to a link with your sitemap. 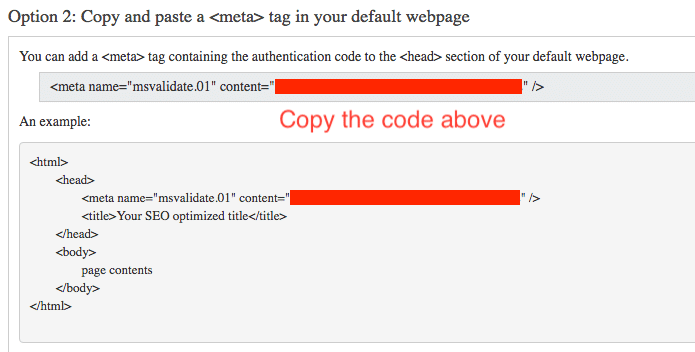 Copy the URL it should be your site followed by /sitemap_index.xml. Head back to your Bing Webmasters Dashboard. Paste your sitemap URL into the section with the arrow pointing to it. Hit Submit and you are done. I hope you found this post helpful. If you are looking for assistance with SEO or Web Design let us know! Steck Insights is a team of 8 all based in the US. We pride ourselves on our communication skills and our ability to hit deadlines. We would be honored to serve you anyway we can! Click Here to start a conversation.